A mellow sensation, marvellous aromas. A luxury foodstuff with chocolate’s vast arry of aroma’s really ought to be suitable ingredients for use in complex dishes. However, in reality, its powerful flavour makes it a difficult spice that can only be used selectively, and certainly not in coùbination with just anything. Chocolate is a good complement to olives, olive oil, liver and roasted products and its outstanding in combination with fruits ans some herbs. 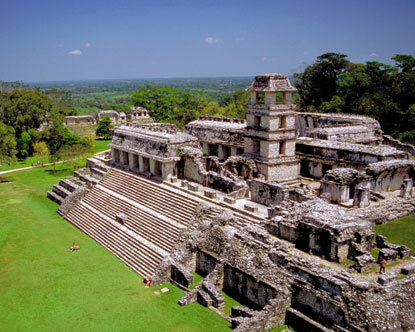 For a long time, cocoa mass has been a vital ingredient in the Mexican dish, mole poblamo. The sauce that is served with chicken and turkey contains traditional crumbled cocoa mass, as well as onions, garlic, tomatoes, plantains, sesame, almonds, peanuts, raisins and prunes, coriander seeds, cinnamon, stale white bread, tortilla, chicken stock and a cocktail of four types of chilli and sugar. 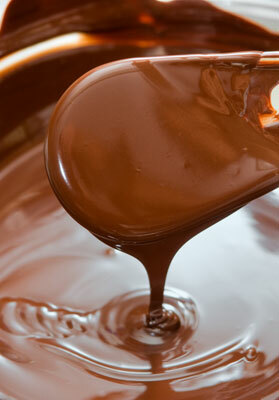 The Spanish later adopted chocolate as an ingredient for sauces to complement game, for example, since the brown paste made the sauce go further. The Costa Brava is famous for its Catalan hare with almonds and chocolate (Ilebre amb xocolata). 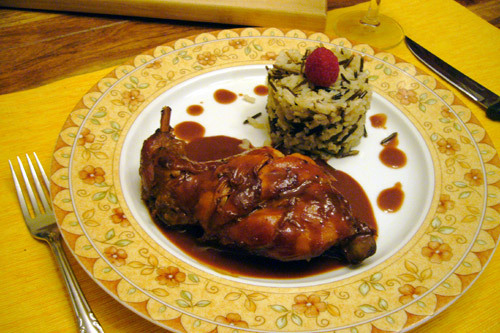 French cuisine also offers a dish of hare stewed in chocolate sauce (lièvre au chocolat) with a marinade of red wine, onions, garlic, carrots, leeks, thyme, bay leaves, nutmeg, pepper, lemon juice, ginger, cinnamon and cloves, which is thickened with dark chocolate, butter and chicken’s blood. 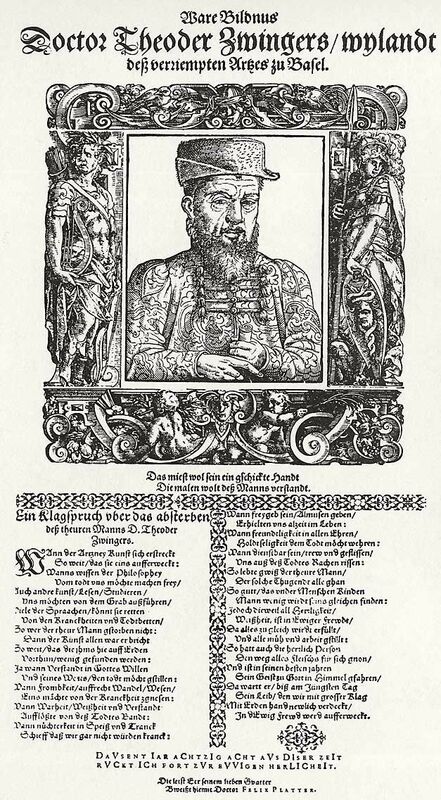 FOR HEALTH AND WELL-BEING In his book of herbs “Theatrum botanicum” published in 1696, Theodor Zwinger wrote that cocoa was both a food and a medication. Basel-born Zwinger (1658-1724) was regarded as one of the first real physicians and we can thus take seriously the healing properties he attributed to chocolate as used in the treatment of all kinds of illnesses and ailments. For example, to treat coughs and to strengthen the heart, to protect against stomach complaints, respiratory problems and phlegm, as well as diarrhoea and dysentery. When combined with nutmeg and almonds, he attributed aphrodisiac properties to chocolate, writing that it roused the libido and was given by wives as a love potion to their husbands. The art of the confectioner So, when did solid chocolate appear on the scene? The chocolate bar? The chocolate that is not dissolved in a beverage or used in a sauce but that is enjoyed as a compact piece? The answer is at the beginning of the machine age when more and more work was rationalised and when processes that either difficult or impossible to carry out manually could be performed by machine. 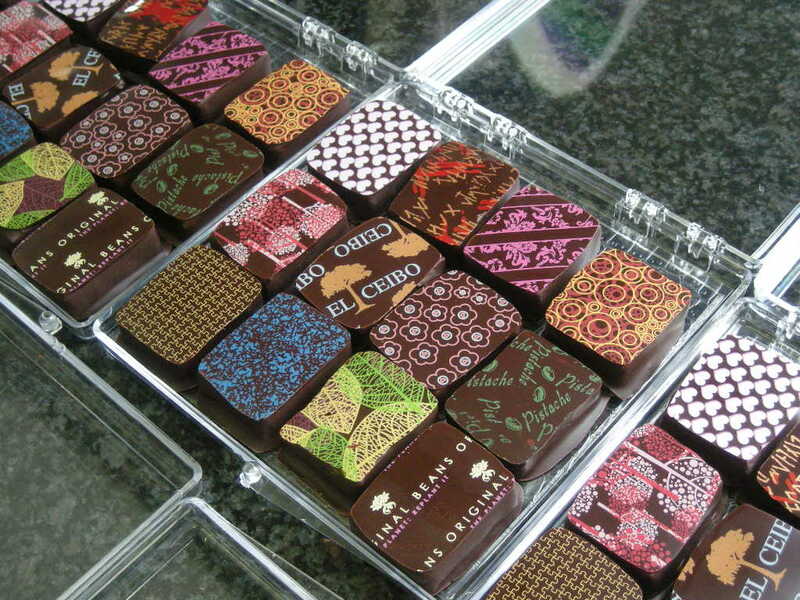 Today, we have couvertures, the raw material of the chocolatier and the confectioner. We also have chocolate bars with just a few ingredients, such as sugar, vanilla and milk, as well as those with a greater range of ingredients, such as nuts (hazelnuts, walnuts, almonds, pistachios, macadamia), pieces of fruit, fruit aromas or fruit jellies (oranges, apricots, raspberries, grapes), or flavour combinations with coffee, nougat or caramel. Chocolate can take a lot of added ingredients. At the start of the new millennium, new combinations were launched on the market, mainly dark chocolate with lemon or grapefruit oil, fleur de sel, rosemary powder, cardamon and cinnamom, lavander and mint of curry spices from India, Thai curry, pink pepper or chilli. Today’s vast arry of confectionery and cakes would be inconceivable without chocolate. Originally, sweets did not contain any chocolate at all and were instead based primarly on oriental recipes perfected in the Viennese court. 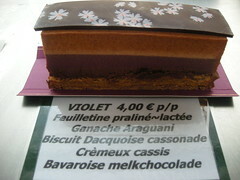 Pralines in the form of sugared covered in chocolate were first available in France in the 17th century. There are no known recipes for chocolate cakes dating back to before the 19th century. 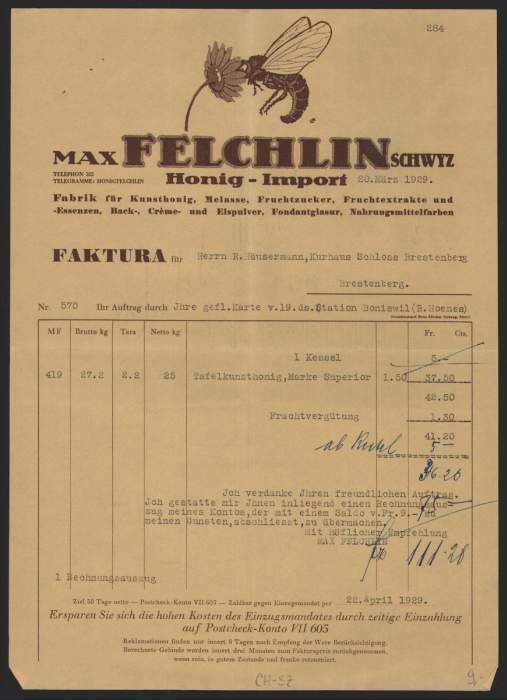 In 1832, a 16 year-old apprentice called Franz Sacher invented the now famous Sacher-torte. This features chocolate as a glaze and the method has since become indispensable for lots of exquisite sweets. The development of ice-cream-on-a-stick saw chocolate used as a solid covering that held the ice-cream together, for a while at least. The pâtissier continues to make black-forest gateau and, of course, mousse au chocolate. 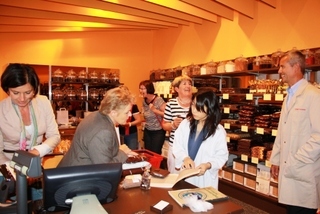 The specialist are the chocolatiers and confectioners working only with chocolate. “On n’est pas dans la farine” is their motto. Top chefs experiment In top restaurants, chefs experiment with chocolate and traditional recipes in order to create something new. The following dishes that were developed by a small selection of creative chefs sound simply divine: mousse au chocolate with olive oil (Martin Dalsass, Sorengo); terrine of goose liver in Riesling jelly with chocolate brioche (Hans-Peter Hussong, Uetikon); blood sausage with black chocolate, olives and hay-chocolatemousse (wuth aftermath, full cream and white chocolate; Stefan Wiesner, the “Sorcerer” of Escholzmatt); pamplemousse confits entiers avec gâteau au chocolate noir coulant (Nicolas Le Bec, Lyon). Franz Wiget from Adelboden restaurant in Steinen near Schwyz has devoted a lot time to the use of chocolate in the kitchen. This is partly at Felcjlin’s request since the company is keen to showcase the whole range of its aroma wheel of Grand Cru varieties in a top restaurant such as the Adelboden, which is situated near its manufacturing facilities. Its quickly became clear that working with chocolate and its characteristic range of flavours is a complex tast and that chocolate cannot simply be randomly combined with absolutely everything. The biggest obstacle is the sugar, explains Franz Wiget, which is why he works with finely-rolled Grand Cru cocoa mass that not contain sugar and, thanks to the skilled, restrained use of cocoa mass, has created some amazing and harmonious disches. The unsweetened, dark chocolate is particularly delicious in combination with olives, red meat and crustaceans. The folowing is a selection from the chocolate menu featuring the Arriba, Maracaibo and Cru Sauvage varities created by Franz Wiget for Felchlin: Croustillant with green-olive tapenade and chocolate ( a tapenade is a spread over a thin triangular pastry base, a second piece of pastry is placed on top and the whole thing is baked until crispy; the tip of the triangle in then dipped in chocolate and croustillant is left to cool). Cappuccino with potato puree and chocolate (potato stock in a glass with cubes of chocolate, covered in foamed milk and with cocoa powder scattred over the top). Lobster soup with chocolate (made in the traditional way, thanks to the roast aromas that unfold during cooking, the lobster soup already tastes of chocolate; Franz Wiget simply adds two or three pieces of chocolate to the soup). Foie gras with chocolate and orange marmalade ( the foie gras contains wafer-thin slices of Arriba cocoa mass that appear as black stripes when the foie gras is cut; the bitter-sweet marmalade goes with both the liver and the chocolate, the opulent aromas complement each other to perfection). Beverage matching It only now remains to look at which can be enjoyed with chocolate. In Marseille, it is the custom to break off a piece of pure, non-sweetened, hard cocoa mass and enjoy it with a little olive oil and an aperitif. Sweet wines in particular are a good complement to chocolate, for example, wines containing grape varieties such as Syrah, Rousanne or Grenache, wines such as Côte du Rhône, Banyuls, Chateauneuf-du-Pape, Bandol, as well as heavy Sicilian and other Southern Italian wines that often reveal “chocolate” on the palate during tastings. The volatile aromas of distillates, such as Cognac, Armagnac or single-malt whisky, are simply superb in combination with the aroma and flavour of chocolate and can be enjoyed, for example, when unwinding at the end of a long day, to finish a delicious meal or simply on their own, since this is the union of two highly compatible partners, a marriage with fine prospects for a long, lasting finish. The reserve is also just as effective: chocolate containing spirits or liqueurs, for example, kirsch or absinth, cognac or whisky chocolate bars. Then, of course, there are alcohol-filled chocolates (canache). Chocolate has the reputation for being an aphrodisiac and is a subject of heated discussion. However, if this is true, then the effect must be more in our minds than the result of any physical reaction since chocolate has not been scientifically proven to contain large quantities of any arousing substances. There’s no doubt that, two to three hunderd years ago, the healing power of chocolate was much more pronounced than it is today. However, if we consider the number of chemicals the human body is subjected to today in the 21th century compared with the 17th century, how many substances modern man takes on a daily basis, such as vitamin pills and contraaceptive pill, then the little bit of magic present in chocolate is really not going to make that much of a difference, either to the invalid or to the lover. However, we can console ourselves with the knowledge that chocolate is uplifting, that it is a quiet pleasure containing essence that help us to overcome life’s bitter disappointments, reinforcing what the infant realises the first time it suckles at its mother’s breast, namely sugar means love and a feeling of security. This first formative experience of taste is the most important and remains with us throughout our lives, even if, in adulthood, we have to learn self-denial and prefer to eat something savoury rather than chocolate. “Self-denial” has been the enemy of chocolate for years, ever since the ideal beauty has been that of the ultra-slim model, dictating fashions and setting the tone of society in which we live. Wherever self-denial is involved, quality of life inevitably suffers. However, a specific pleasure is a way out of dilemma we experience when caught between the opposing states of joy, frustation and desire for good healt: we don’t want just anything; we want the best. For example, chocolate that has been manufactured with the utmost care and devotion to detail, every step of the way — as at Felchlin. In short, we want a superior chocolate. Our own small piece of luxury. Since my visit at Felchlin last summer 2010 and again this summer I must admit I’m addicted to there chocolate and there philosophy. This book is to interesting not to blog, so I must share this on my blog. Everyone knows chocolate, and just about everyone loves it, but only a few people know how it ia actually made. In this book, we discribe the long journey “From the Finest Cocoa to Exquisite Chocolate”: each individual stage, from cultivation and fermantation to the journey and production, requires consummate skill and expertise. 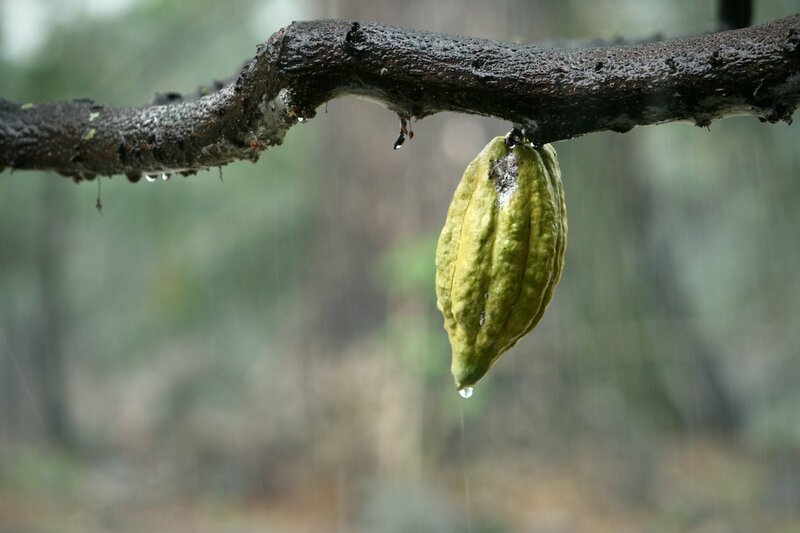 We invest a great deal of care, experience and time in transforming the seeds of these fruits from the tropical Rain Forest into melt-in-the-mouth chocolate. Chocolate is more than just chocolate – the consumer is often uncritical in its selection and simply eats it without giving it a second thought. This book communicates knowledge about chocolate in order to increase th pleasure in its consumption and to enable a critical appreciation. We are passionate about production fine flavour chocolate, wich is the product of a variety of specialist processes tailored to achieve maximum pleasure. Troughout its 100-year history and despite the incredible amount of change that has taken place during this period, our company has been consistently dedicated to pleasure. We produce chocolate in our small factory in Schwyz and are happy to share the secrets of its wonderfull flavours with those who really appreciate it. If this book transforms you from a chocolate eater to a chocolate connoisseur, then we have succeeded in what we set out to do. The hunger for food and riches has changed the world. The voyages of discovery were inspired by the need for culinary treasures worth their weight in gold, namely by the search for spices that, 600 years ago, were precious and hugely valuable commodity available only in small quantities. However, the value of these spices went beyond the coffers of traders and princes and they unexpectedly infiltrated all levels of society. After Colombus landed on a Caribbean island in the New World in 1492, new foods started to enrich the menus of Europe. Although the Spanish conquistadors were mainly interested in plundering the riches of the Mayas, Aztecs and Incas, they happened upon a veritable treasure trove of foods previously unknown in Europe and that are now integral part of our everyday diet. A small group of the most important South American products now account for a tremendous amount of the expenditure spent on groceries: potatoes, maize, tomatoes, beans, pineapple, avocado, papaya, peanuts, pumpin, turkeys, vanilla, tobacco — and cocoa. The tomato, although initially not even eaten in Europe but exhibited as an ornamental plant, is today the world’s most important vegetable. The cocoa bean will never attain this status. However, it doesn’t have to, since it is already the undisputed number one in a very different ranking. Cocoa is one of the most valuable agricultural crops, the embodiment of luxury in its finest form: the luxury of time and pleasure. The most wonderful luxury is time, perceived as a gift to be enjoyed. Not the time that is taken up with day-to-day choces but those truly precious moments when, freed from the demands of everyday life, we can sit back and indulge in a feeling of relaxation and calm, as well as look forward to forthcoming events, either with excitements or even with a certain trepidation. Enjoyed in these circumstances, a pleasure is a truly precious and remerkable thing, especially if we allow it the time to develop its character, to reveal its complexity and uniqueness. This is indeed, a pleasure, of course, chocolate. It is unique. Not only because its aromas beguile the senses but also because it demands that we make sacrifices. Sacrifices in terms of time, patience and also discipline. Chocolate denies greed, punishing exess with the heavy feeling of being sated. It only reveals its riches to those who are prepared to taste small pieces and to savour its hunderds of individual aromas. Chocolate is something precious. A true gem amongst the culinary delights of the world, not only because the desire for a slim figure and fit body means that the comsumption of chocolate has come to be regarded as e reward; forgoing the devouring of chocolate with reckless abandon has paved the way for a more delicate enjoyment. We only eat a little chocolate, but what we eat, we eat selectively. We are not happy to settle for mass products and only want the very best. The bonus lies in enjoying the moment, a rare pleasure. And so the circle closes. When, at the turn of the 16th century, the Spanish conquistadors first tasted chocolate in the New World, Columbus with little enthusiasm bur Cortés, who conquered Mexico, with the astute eye of the businessman, it was the drink of nobility and of ritual. And so, too, it was in Spain, at least for a century. 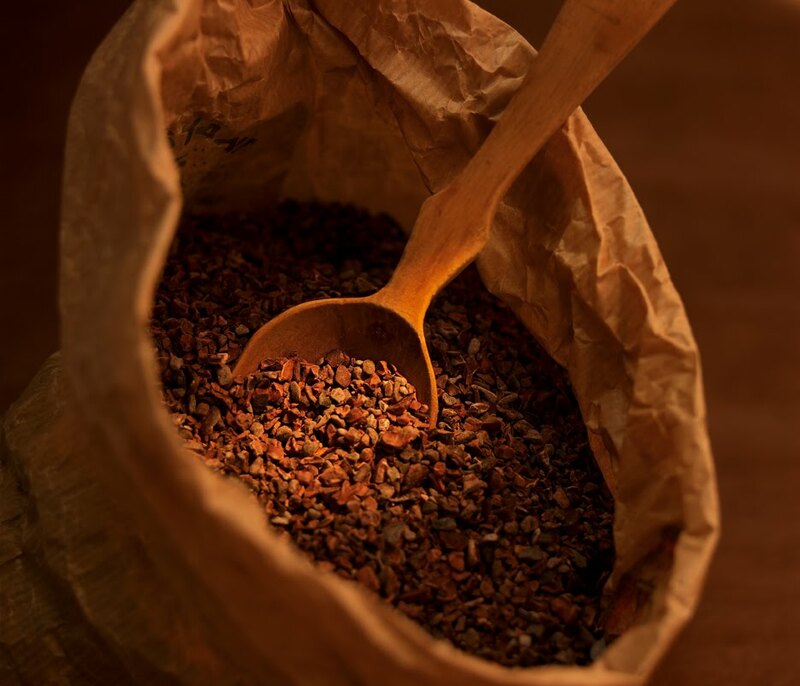 The Portuguese then happened upon cocoa in Barzil and soon after planted the tree on the islands of Sao Tomé and Principe on the West African coast. 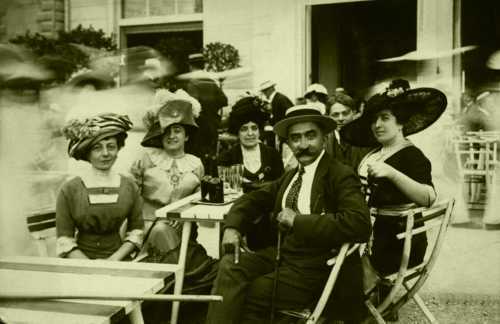 Two daughters of the Spanish royal family took chocolate to France when they married into the French royal family. The new miracle drink spread via Italy, parts of which were under Spanish rule, to the Mediterranean. During the Rococo period, chocolate trickled down to the middle classes and, with the introduction of vital processing technologies, such as mechanical mills, cocoa-butter presses and conches, the end of the nineteenth century saw its transformation into solid chocolate, a rational, industrial product that became less and less expensuve and more affordable for all. Chocolate was democratised and socialised. With the upturn in the economy after the Second World War, it became a mass product and lost its exclusive character. Until, that is, high-handed fashion dictators declared war on thunder thighs and potbellies, forcing larger individuals into uncomfortable clothes and subjecting them to mockery and social ostracism. Chocolate and other rich foods were demonised and vilified as contributors to exess weight. However, the longing for the incorparable, unique flavour of cocoa cannot simply be excluded from our sensory life and relegated to a list of forbidden pleasures Certainly, we can accept the need for self-denial, but only in moderation. Chocolate should remain a carefully considered exception, a very precious gem The community of epicures has found its way back to the beginning, back to cocoa in its unadulterated form. Back to Criollo, the highest quality bean that, half a millennium ago, so amazed and delighted the palates of the Europeans. However, this chocolate is not without its demands. It refuses to be simply devoured. It keeps its aromas locked away until the palate is ready to allow the heavenly pleasure to melt on the tongue. So it’s not surprising that the natural scientist Carl von Linné gave the cocoa plant the botanical name Theobroma cacao, meaning “food of the gods”. The Swedish natural scientist who also fell under the spell of chocolate, was not just allowing his imagination free reign, he was also alluding to the traditions of the Mexican Indians who glorified the consumption of the fruit of the cacao tree a s a privilege enjoyed by the gods.